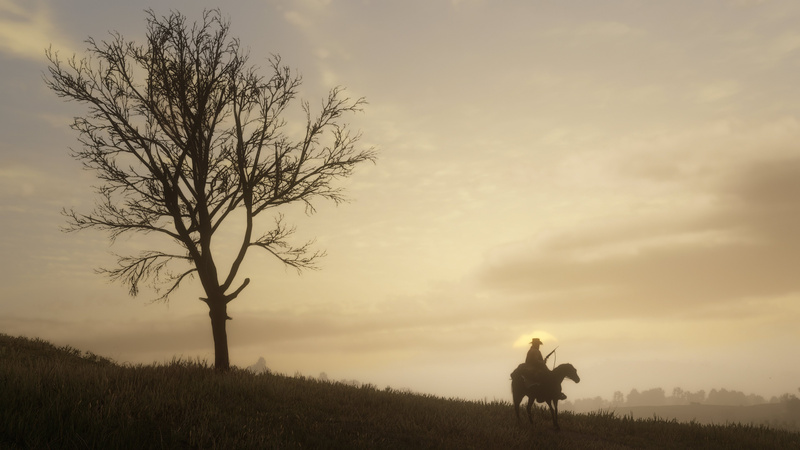 Sony is banking big on Red Dead Redemption 2, and for good reason -- it's going to be one of 2018's biggest sellers. As part of its continued marketing splash, the platform holder has just unveiled a couple of PS4 bundles, packing together Rockstar's upcoming blockbuster with a PS4 Pro. Sadly, there's no custom design, so you'll have to settle for the standard Jet Black. 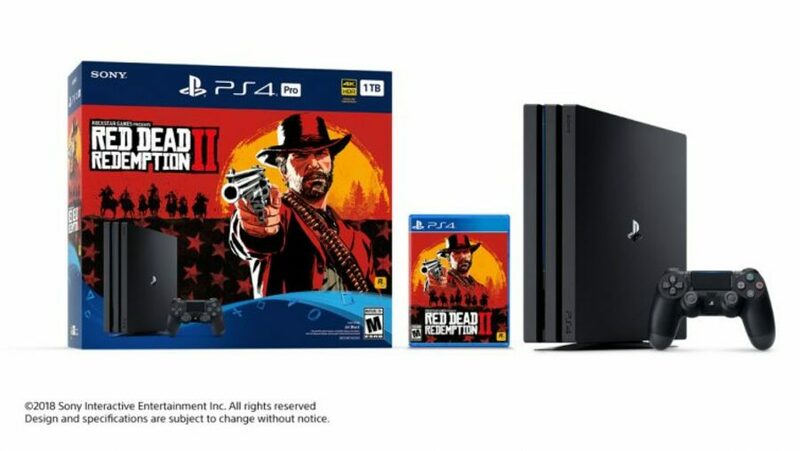 In North America, you'll be able to get your hands on a 1TB PS4 Pro that comes bundled with a physical copy of Red Dead Redemption 2 for $399.99. However, if you're in Europe, you'll have a little more choice. Not only will you be able to pick up the aforementioned Pro bundle, but Sony is also selling 1TB and 500GB standard PS4 bundles. These consoles also don't feature a special design. 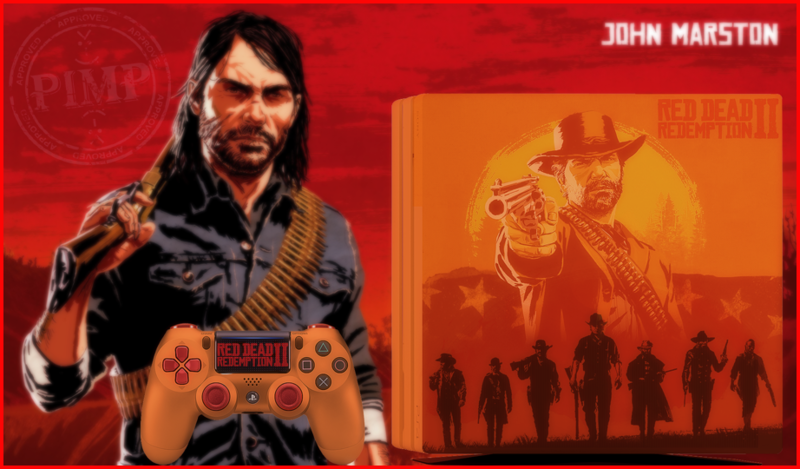 Will you be picking up a PS4 Pro for Red Dead Redemption 2? Are you disappointed in the lack of custom design? Fire six rounds into the air in the comments below. I thought they'd go a little bit harder on this. Having said that, these are going to sell very well regardless. @get2sammyb yeah, I thought they would make a custom designed console for this as well. Oh well, the custom skin manufacturers will make some bank with this one. any word on how stable the game will run on a base ps4? i know both the pro and the base model have 30 fps but i was wondering how many ﻿drops the ps4 might have when in intens﻿e or busy cities﻿. ps sorry for the slight off topic comment. Pro still being $399 two years after launch, making the game basically free, is nice for people maybe looking to upgrade from a Slim to Pro. Rare to see anything from Sony keep it's launch price for 2 years. Slim is still holding on at $299 two years later as well but they did double the HDD size since then and it's been on sale more. Wonder if we'll see big discounts this holiday as they wait on announcing PS5 or try to get as much money as they can before announcing PS5? Pro can't stay $399 forever. Slim will be $199 somewhere Black Friday. @rjejr They must still have plenty of demand for the Pro to keep it at that price or the they feel heavily discounting the base PS4 means they don't have to do likewise for the Pro. @adf86 Well both Slim and Pro are selling well enough compared to the Xboxen, and Sony may consider the Switch a handheld and not worry about it too much except maybe in Japan where they still sell the Vita. I do wonder if we'll ever see breakout numbers though, it's been a long time since Sony announced the total Pro number sold, besides the weekly Japan breakout I only see the combined PS4 number. Will be interesting to see what happens when PS5 gets announced and launches. If PS5 has backwards compatibility not much reason besides price to buy either PS4. And if it doesn't, well they could still drop Slim and sell Pro cheap, or drop Pro and sell Slim really cheap. Three would be too many PS for me, they should pick Slim or Pro and just call it PS4 vs. PS5. Shouldn't' be too much longer now until we find out, I really think they need to tell us something by E3. Nah. Whoever is considering a Pro, just wait for the Black Friday sales. I was toying with the idea of upgrading to Pro, but after playing and finishing Spider-man on the OG PS4 I am again back to "nah man, sh** runs just fine on the OG system - I'll keep my money for PS5, thank you very much"
Well, that is a bit "meh"... but I guess if you in a market for the regular PRO it is good. At this point, Sticking with my launch PS4 and waiting on the PS5. @rjejr Pro is regularly discounted to 349 $/EUR though every few months, but yes, I agree, Pro turned out to be a BMW for Sony. @Neolit I think I've seen it on sale occasionally in the US as well, but I suppose after the past 20 years I've gotten used to Sony home consoles dropping in price nearly $50 nearly every year. Of course it was easier to do that when the PS3 launched at $600, lots of room for cuts there, but I feel like the PS2 had significant announced yearly price cuts as well. Maybe only $20 at a time back then, or every other year. OK, I can't recall PS1 too much, just the PSOne, so maybe it's only 15 years of regular price cuts, not 20. For comparison, Wii U launched at $299 and $349, died 4 years later at $299. So it basically died at the same low end as it launched, which probably contributed to it dieing in only 4 years. Not expecting PS4 to die soon at any price, even if PS5 has BC at $400, or even $500, they can sell the Slim for $99 or Pro for $199 as a cheaper alternative. If PS5 doesn't have BC b/c reasons and it's $500, then they could probably still sell the Slim for $199 and Pro for $299 based on it's game catalog for a few years. I hope the PS5 gets announced next year, even with a 2020 launch date, just to find out about the BC and what else it offers. Gotta have a hook. Yeah I keep stalling on getting a Pro. That hesitation should be enough to just wait for the new console. @Eternallover21 another thing that makes me stay is that I haven't upgraded a single tv to 4k so I really can't justify a Pro purchase to myself. In adition, I know once I touch the Pro I will want to upgrade my TVs etc etc and I really am not up to that type of expenditure right now. And for what? Not a giant leap in visual fidelity (no, I get it, HDR and 4K are something else, but still... not enough for me to fork out what I need to). @rjejr So many things are probably up in the air regarding PS5 that I think it won't be out till 2020 and if it's late 2020 Sony probably won't talk about it next year. With regards to Pro sales I think Sony are just happy to put it with Slims numbers tbh. I do think we'll get a last iteration of the PS4 though whether it's the super slim or Pro slim, maybe next year. @adf86 "super slim or Pro slim"
Hadn't thought about that, been so focused on the PS5 and the current PS4 models. Would make sense for 2019 if PS5 isn't announced or launched until 2020. Going to be 1 long boring year of PS events in 2019 if that's the case. I'd rather these were the last 2 models - HDD size not withstanding - and we all just focused on PS5, but I suppose if Sony wants to add an Ultra blu-ray player into a PS4 model that would be one way to do it, a PS4 Pro Slim. Though I think PS5 needs a ultra 4k player as a differentiation, if not an outright selling point. This year was all about the games, hoping next year is all about the hardware, b/c I'm already bored of Death Stranding, and Days Gone just needs to release already so they can start talking up TLoU2. But I need the PS5 so I can hear about H:ZD2 and GoW2. Thor is waiting. @rjejr I'm not ruling out PS5 for next year but my gut feeling is it won't be. That's not to say there aren't games to look forward too. I still think Ghost of Tshushima, TLOU 2 and cough Dreams will be out next year, plus smaller games too like Medievil. @adf86 I was going to mention Dreams, but really at this point whenever it comes out it comes out, how much more do we have to see of it? This year, next year, 2020, we've seen plenty. I would like to see more of Ghosts, but not as the highlight of E3. Well second highlight after TLoU2. But if E3 2019 looks just like E3 2018 minus Spiderman what's the point? And if there's no PS5 what's Squenix going to show, even KH3 will miraculously be out by then, and FFXV season 2 episodes should be done, and DQXI is out now. Just more FFVII scripted cut scenes? I really think that's PS5 by now anyway. Wouldn't kill me to hold off until 2021 or even 2022 on a PS5 and show my Switch some attention, but it will make for a slow year of excitement without some next gen news in 2019. New Switch isn't going to cut it. Im still playing my day 1 ps4 which sounds like a jumbo jet. Id love a pro but with ps5 on the horizon im just hoping it holds out. Im mostly just worried about my precious PT demo! I know quite a few people who bought the PS3 when GTA V released. This bundle is gonna sell a lot! It feels like there's no reason at all for Sony to be worried about holding PS5 announcement for another couple of years. Shame about no custom design, would have been tempting if I didn't just recently buy my Spider-Man PS4 Pro with the Spider-Man game and Season Pass included.